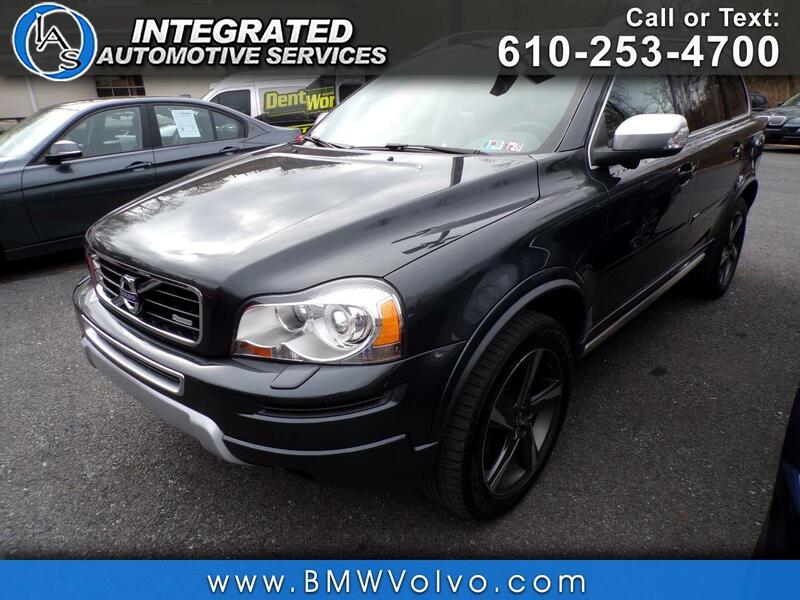 Used 2014 Volvo XC90 3.2 R-Design for Sale in Easton PA 18042 Integrated Automotive Services Inc. Recent Arrival! CARFAX One-Owner. Clean CARFAX. Fresh Oil Change, New PA State Inspection, Fully Serviced, Clean Carfax, One Owner, Non Smoker, AWD, Off-Black w/R-Design Smooth Leather Seating Surfaces, 19" x 8" IXION Alloy Wheels, 3rd row seats: bucket, BLIS Blind Spot Information System, Climate Package, Heated Front Seats, High intensity discharge headlights: Xenon, Interior Air Quality System (IAQS), Memory seat, Power moonroof, Power Retractable Sideview Mirrors, Radio: HD AM/FM w/Single Disc CD Player, R-Design Smooth Leather Seating Surfaces, Rear Parking Sensors.